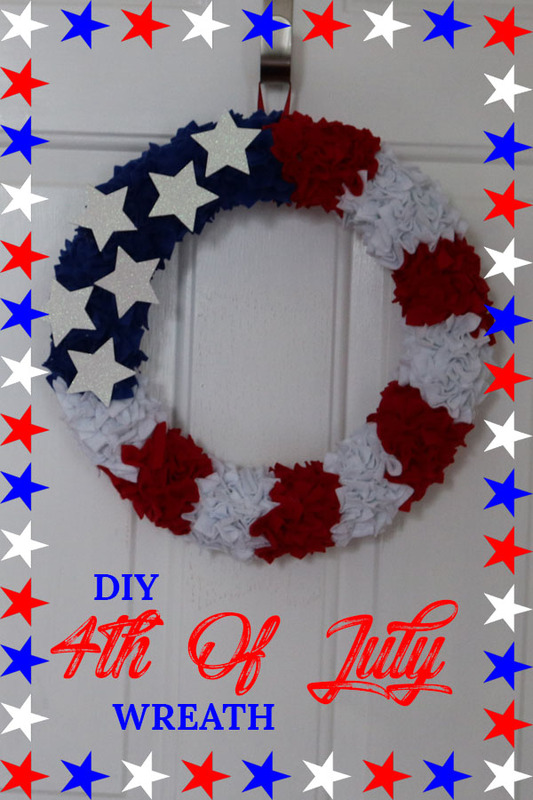 This festive DIY wreath will make the perfect 4th of July decoration for your 4th of July celebration. 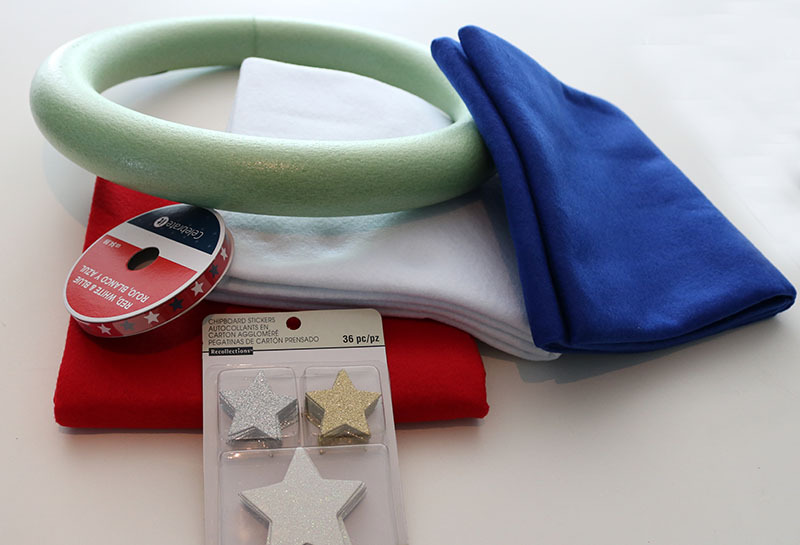 It’s easy to make and will add the perfect festive look to your 4th of July party! I love the way this DIY wreath turned out! It really makes the perfect 4th of July decoration for our front door. With each season or holiday, I love switching out the front door wreath and garden flag. 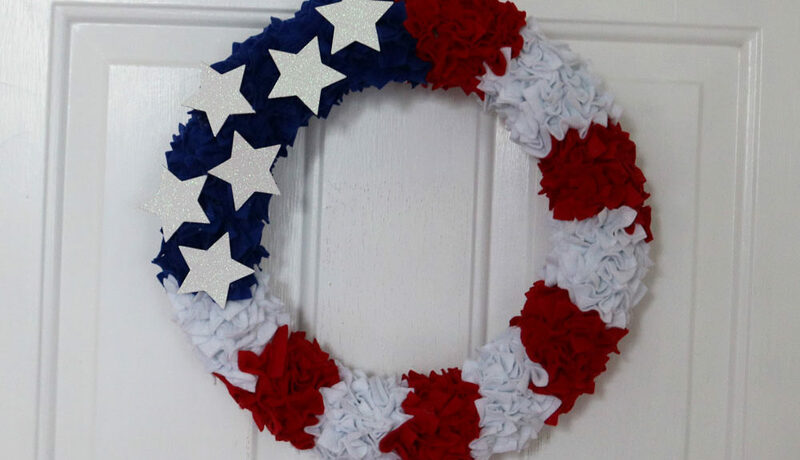 Since I didn’t have a 4th of July wreath, I decided to attempt to make my own. I blended together ideas seen on Pinterest and the concept of the plush craft pillows my daughters love to create this. Abigail was actually doing her pillow craft next me while I was doing my wreath. I used the tool that is used in these crafts to create this. You could easily use a tooth pick or skewer if you don’t have any of these kits. 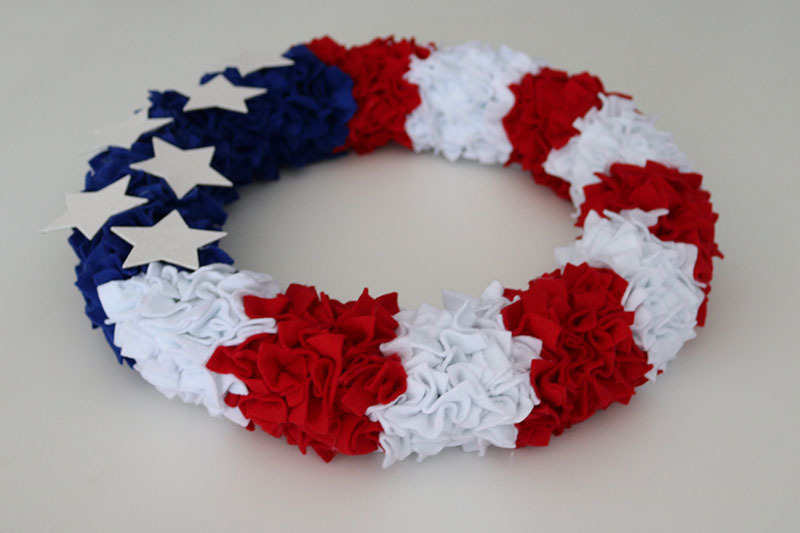 Foam Wreath – I used the 1.9 inch x 13.8 inch size because it was all Michael’s had. If I make this again, I will order the 13 inch x 2.5 inch found here. Although I still love how it turned out, I think it would look a little better with a fuller wreath frame and would be a little sturdier with all the holes you will be poking in it. 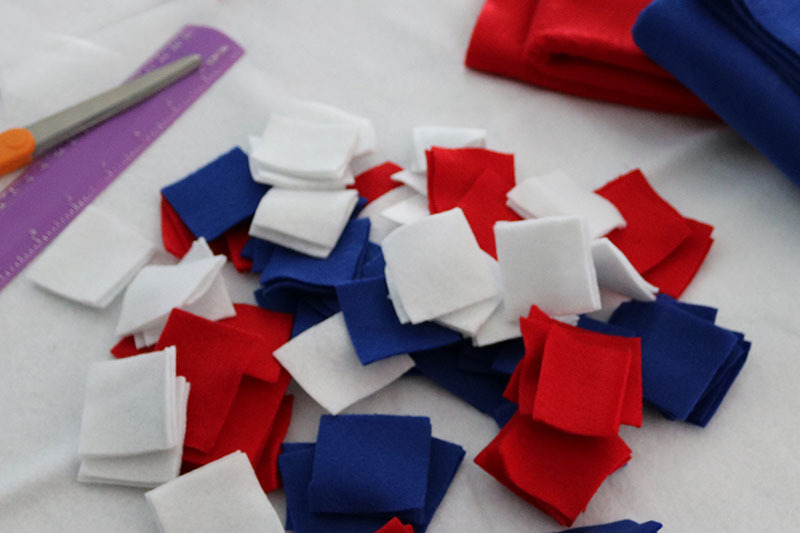 Red, White and Blue Felt – I got a 36 inch x 36 inch size of each color and didn’t even use half of it. So you really could just grab a couple of the sheets of felt, unless you are making multiple wreaths. Don’t use the premium felt, go for the felt that feels more like a material. Stars (optional) – If you want to decorate the wreath a little more. Ribbon – You’ll just need a small piece for hanging the wreath. 1 stylus, toothpick or skewer. This wreath is incredibly easy to make. And the perfect excuse to relax and watch a movie. It will take about the length of a movie to make, making this a perfect pair. It also doesn’t take a lot of thinking to make this wreath so you don’t have to worry about being distracted by the movie. First, cut your felt into squares. You may want to cut a few and try them first to make sure you like the size. I liked the look of 1.5 inch x 1.5 inch squares. I first cut 1 inch x 1 inch and felt they were too small. Then using your stylus tool, punch the felt into the wreath. You’ll place the stylus in the center of the piece of felt. You can space these out to your liking. I did mine pretty close together for a fuller look. Once you’ve covered the foam wreath with felt, it’ll look like this. It’s really cute already so you could stop here, or add the stars. Last, you’ll add your ribbon for hanging the wreath. I used a hot glue gun to glue the ribbon. IMPORTANT: when you glue the ribbon on, make sure you glue it to the foam part of the wreath and not the felt. You may have to remove a couple pieces of felt. The felt are not securely attached and will slip out with the weight of the wreath. The felt stay in pretty well, but if you have an issue with a couple falling out, just drop a drop of glue in the hole and then put the felt in. 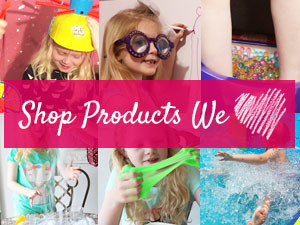 You can find more 4th of July decoration and activity ideas here! I hope this 4th of July decoration will help make your day a little more festive and don’t forget to pin it so you have it for later! 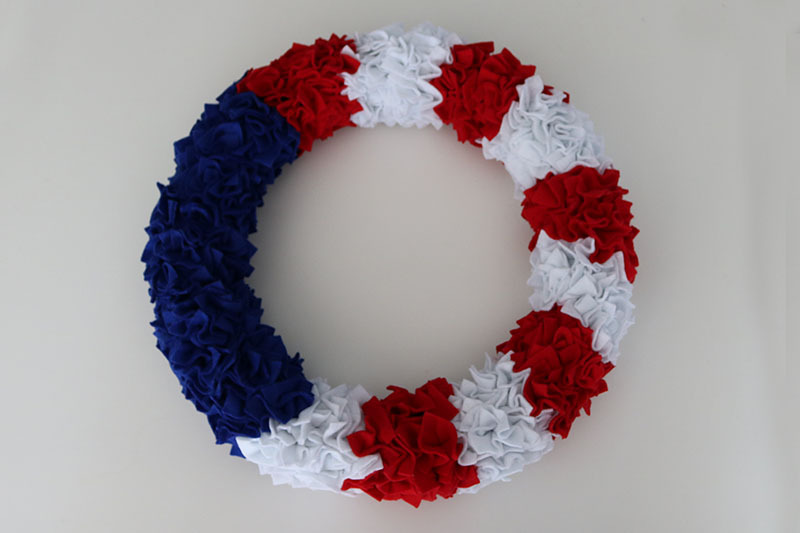 Now that is one patriotic wreath. It looks festive and fun. And so rich with colour and depth. These are so cool! I’ll have to make sure to make these for the 4th of July! Looks great! I didn’t know you could just “punch” the felt into the foam wreath. I know right! It worked really well! Looks awesome! Love it a lot! 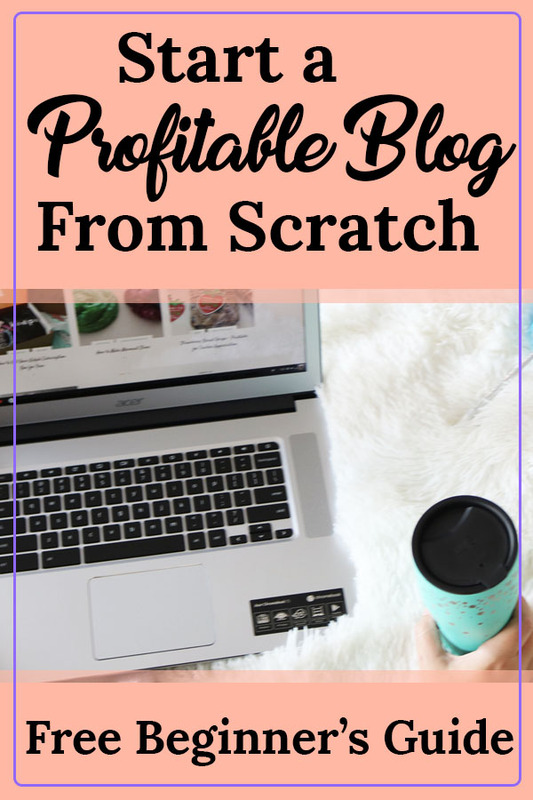 The punch method is way better than glue, no mess! Cute! Change up the colors and you could easily have one for all the holidays! Awesome wreath. I haven’t made these in years. I love your patriotic design. Beautiful..
Wow such a cute wreath! This is a fun DIY Project that I bet even younger kids could help with too. Fun for the door decor. This is an awesome idea and one you can probably involve the kids! Cute! 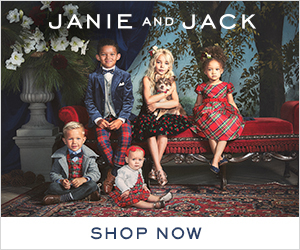 I am looking for a summer wreath for my door. I might have to make this! This is gorgeous! I love 4th of July decor and can’t wait to try this myself. Thanks for the step-by-step instructions! 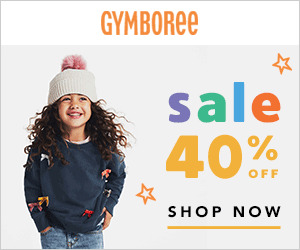 This looks so festive and fun! And, like something I could accomplish! That is awesome! You are so creative! Smart! And the felt is so much more plush and durable than paper. Love this, it looks so effective made from felt! I really like that wreath because it’s fun and decorative but it still looks stylish too! 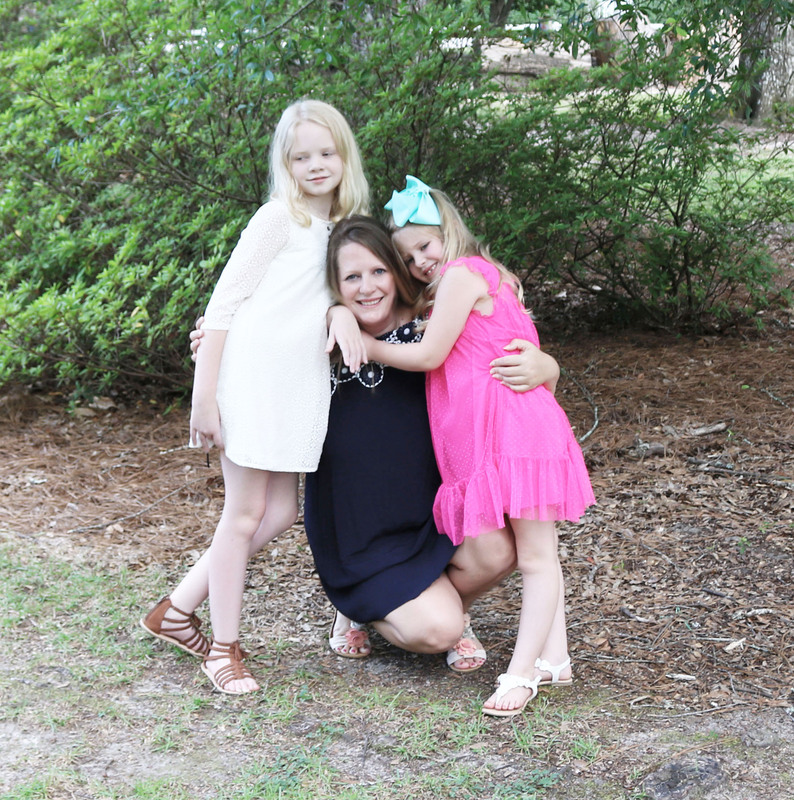 I hope you have a fabulous time over the holiday weekend!